Artificial Intelligence (AI) makes it possible for machines to display intelligence that is usually only seen in humans or animals. AI-systems have the ability to correctly interpret data and learn from it. AI then uses what it has learned to achieve specific tasks and goals. The term AI is used to describe machines that are able to perform cognitive functions, that are usually only associated with human minds, like learning and problem-solving. These systems have many applications and are utilised for a wide range of tasks, like speech recognition, handwriting recognition, computer vision, translation, image processing, virtual reality, strategic game systems (e.g. Chess or Go), face recognition, medical diagnosis, remote sensing, electronic trading, robot control and autonomously operating cars. AI is used in almost all fields and industries, including aviation, agriculture, medicine, education, human resources, marketing, toys and games, computer science and finance. The possibilities for AI to bring advances to these and many other fields are endless. AI-systems can be classified into three different types: analytical, human-inspired and humanised. Analytical artificial intelligence is consistent with cognitive intelligence alone and all learning is based on past experience. Human-inspired artificial intelligence goes one step further and adds emotional intelligence to the cognitive elements. These machines understand human emotions, as well as performing cognitive functions. They use both these elements in their decision-making. Humanised artificial intelligence is very much modelled on human intelligence and combines cognitive, emotional and social elements of intelligence. Humanised AI-systems are able to demonstrate self-consciousness and to be self-aware when interacting with others. The field of AI claims that human intelligence can be simulated by a machine. 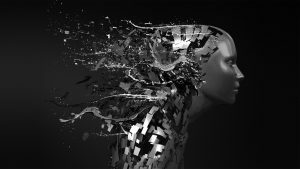 Philosophical questions and arguments are raised about the nature of the human mind and the ethics of creating artificial beings that possess human-like intelligence. Although this has been explored in philosophy, myths and science-fiction since Antiquity, it has only become reality in the last sixty or seventy years.